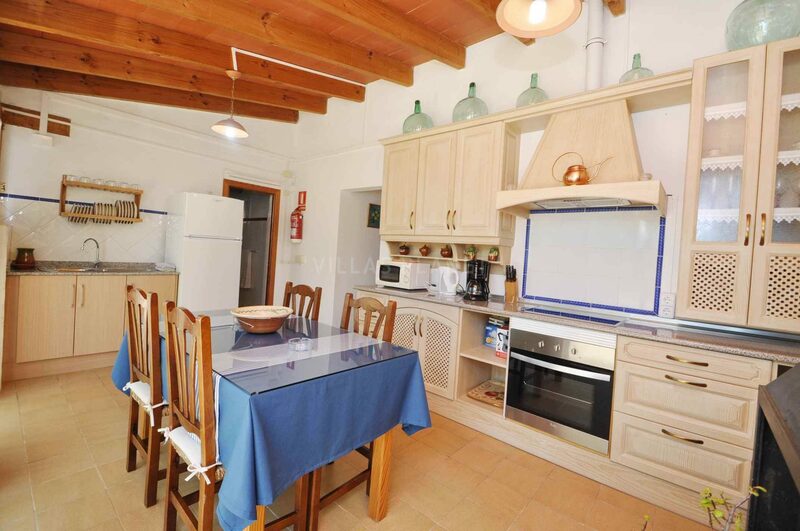 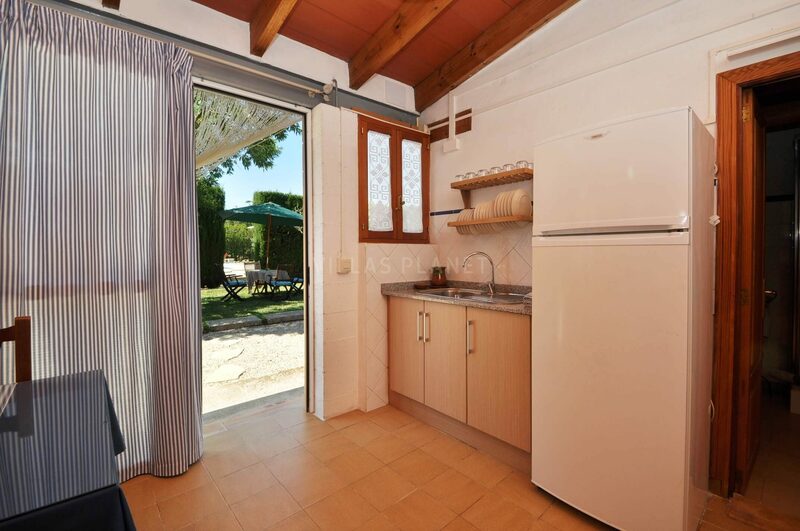 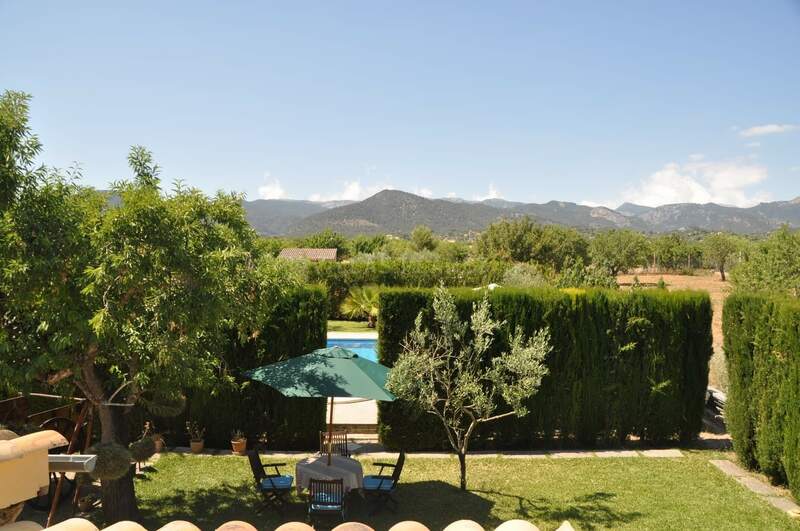 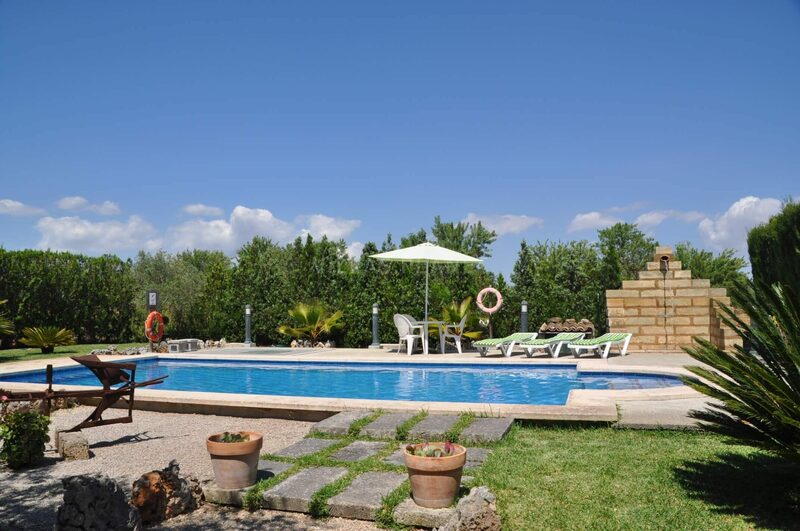 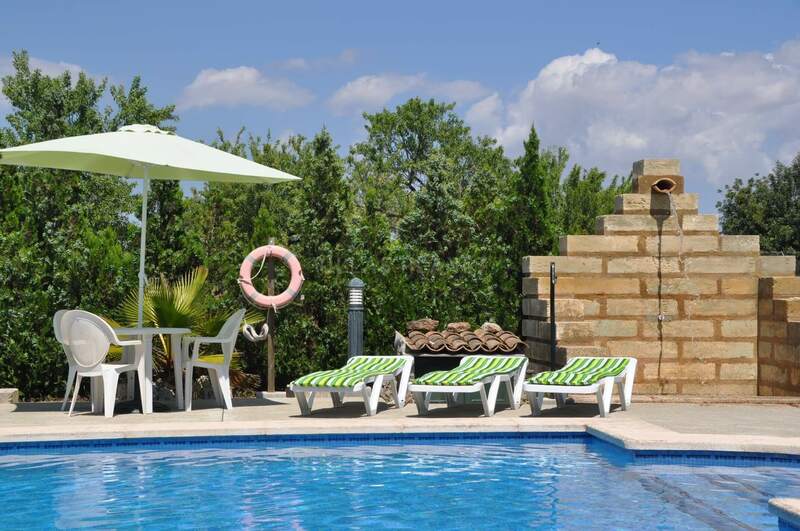 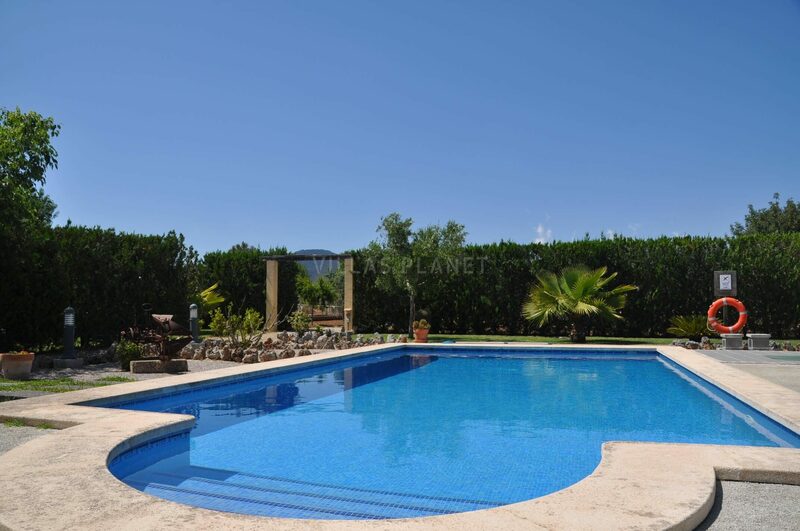 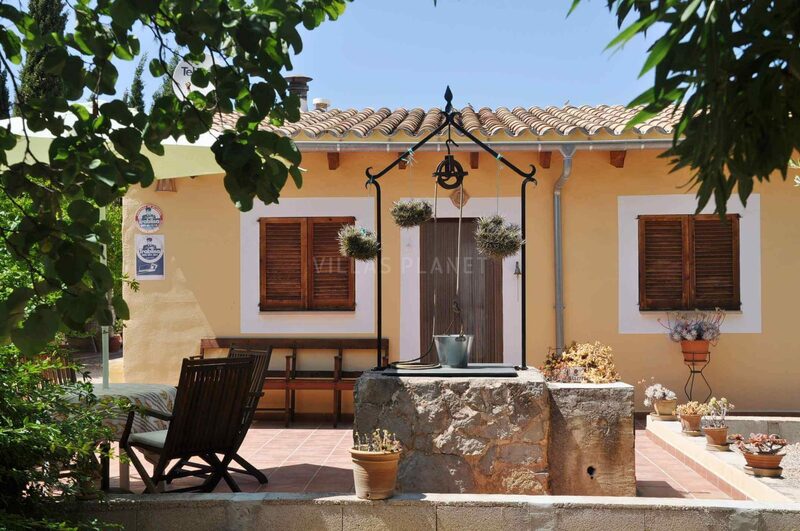 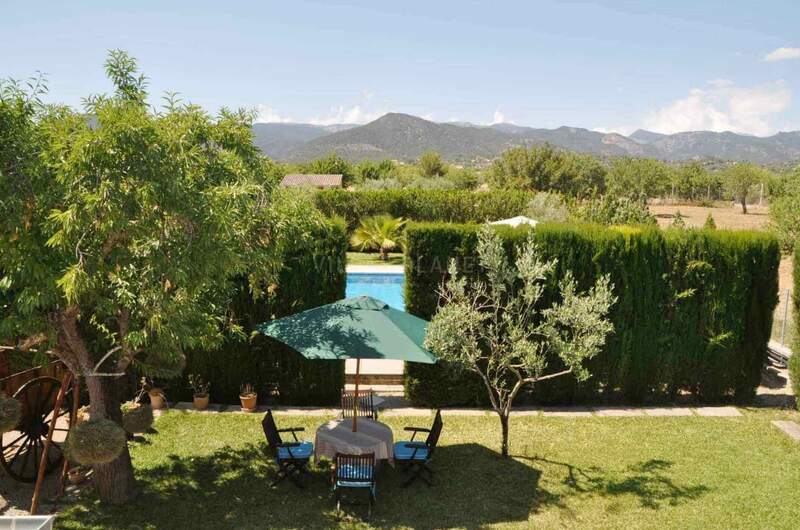 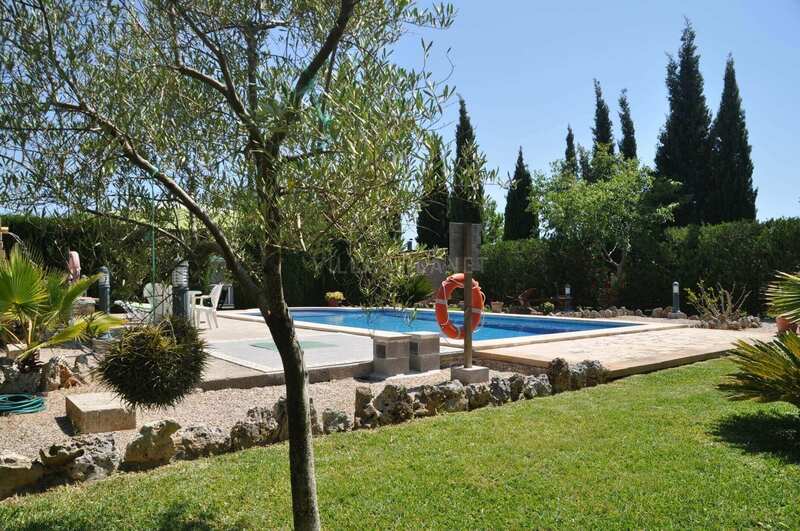 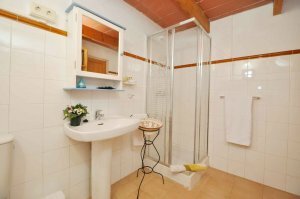 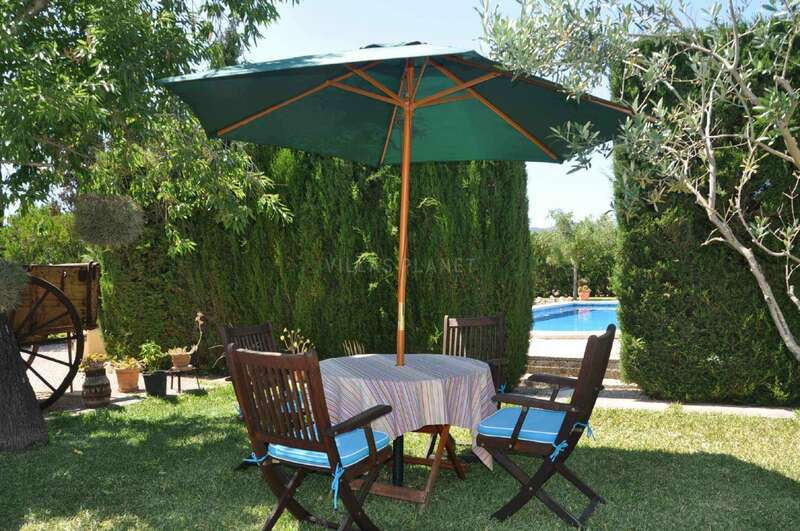 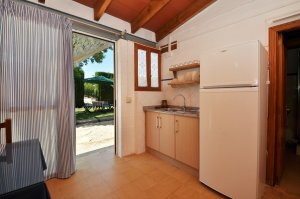 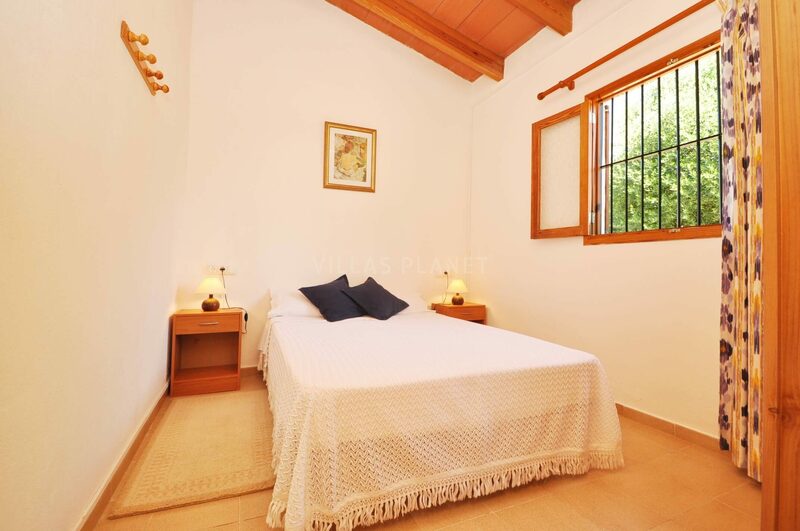 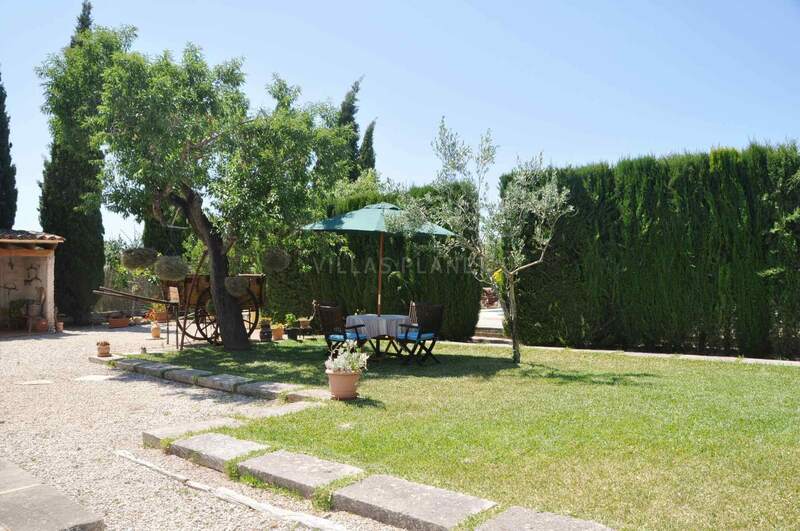 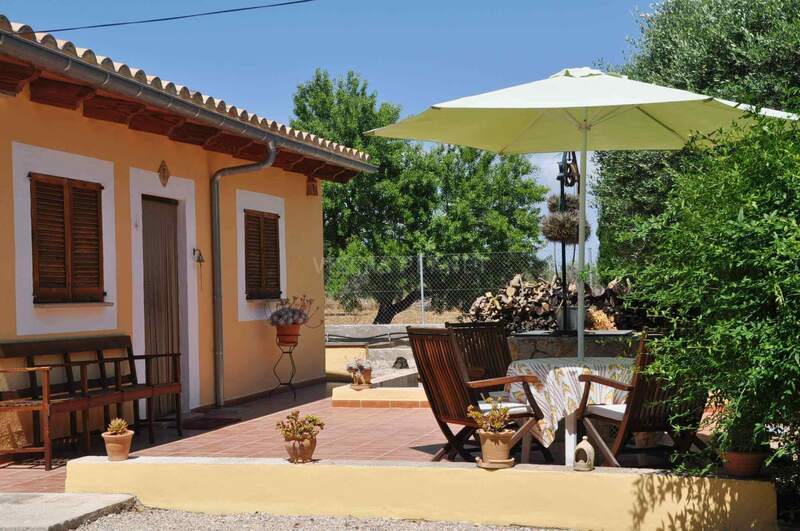 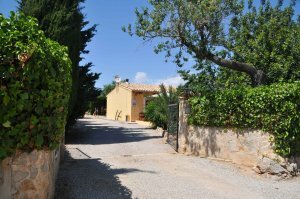 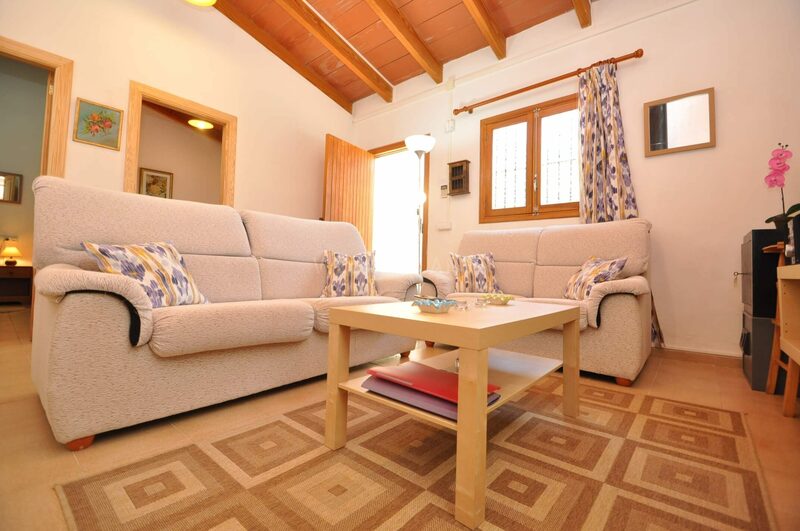 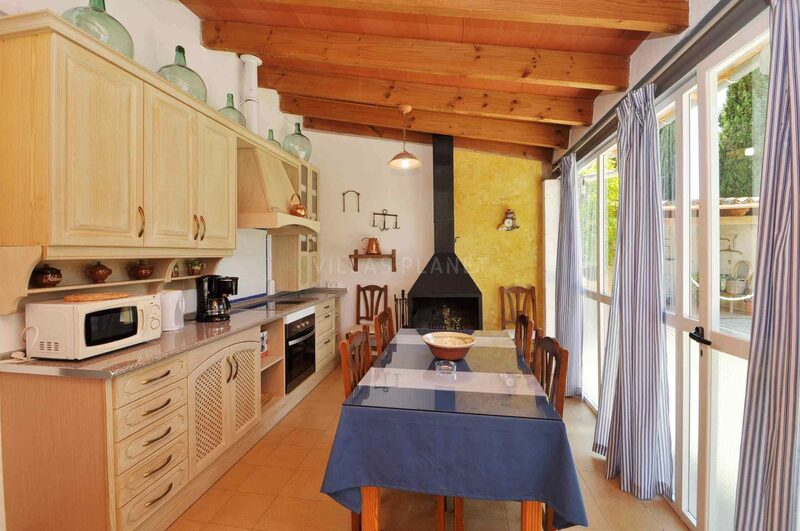 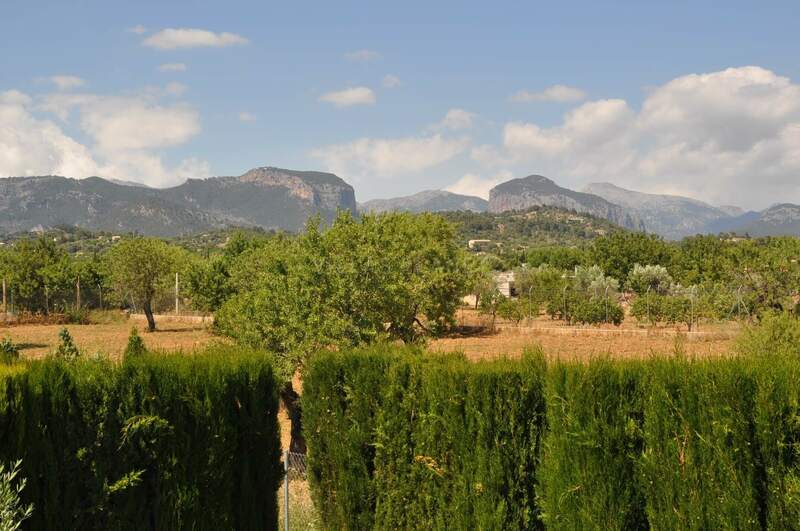 Cozy cottage with a large pool in a quiet environment with fantastic panoramic views to the mountains of Serra de Tramuntana, less than a mile from the Santa Maria's village. 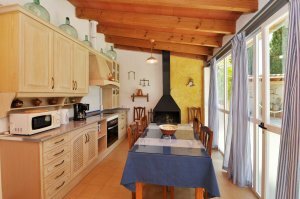 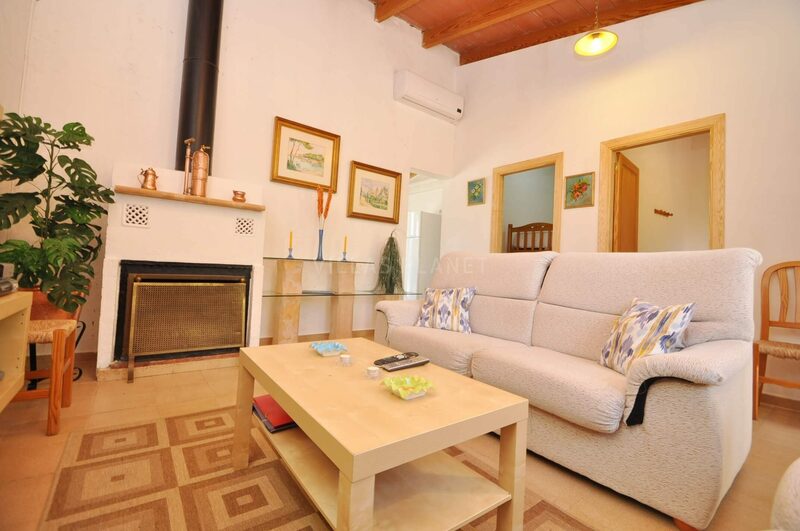 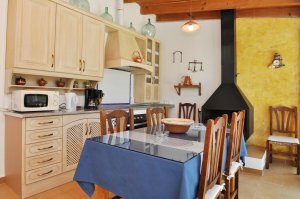 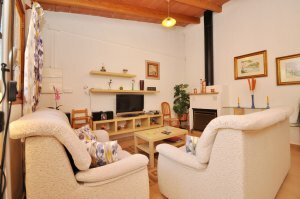 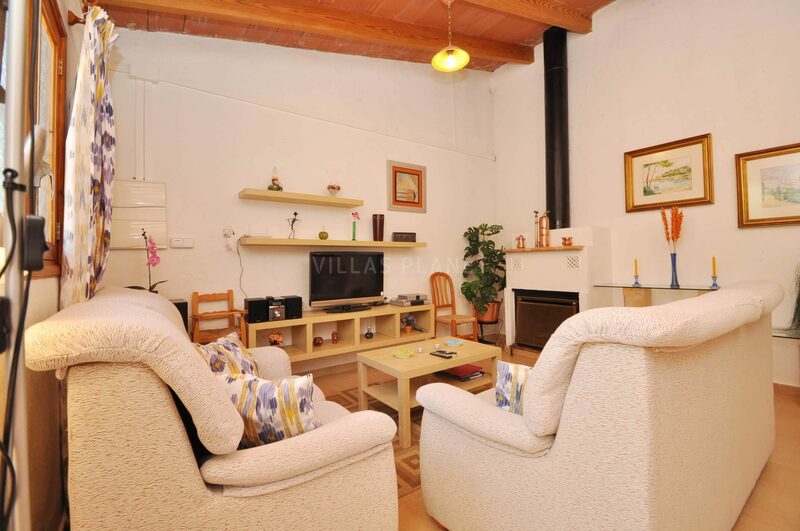 The cottage is ideal for a couple or a couple with two children, is distributed in a living room with fireplace and kitchen-dining room with direct access to the lawned garden beside the pool. 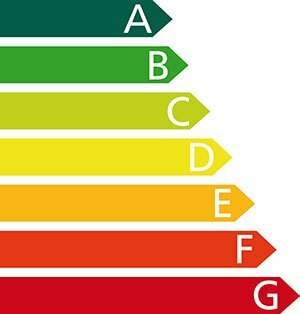 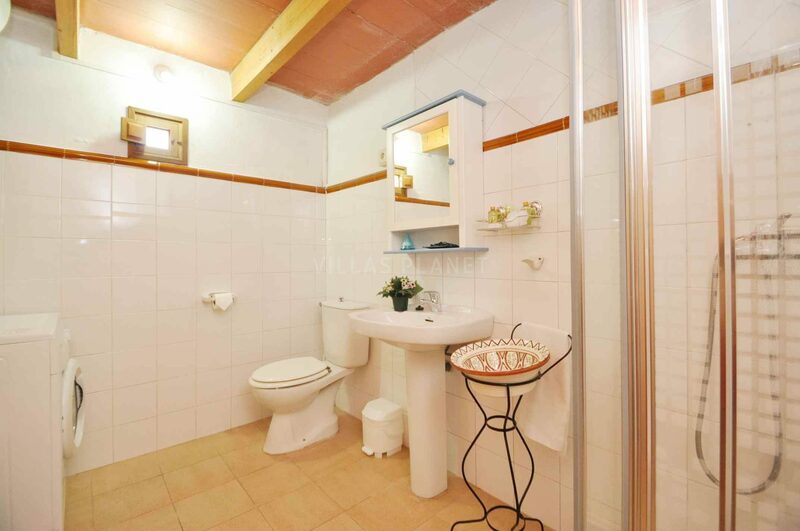 One bedroom with double bed and a single bedroom with a bunk bed, bathroom with shower cabin. 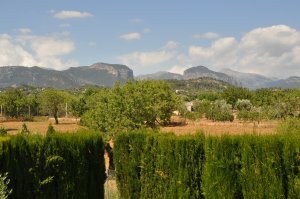 Internet Wifi. 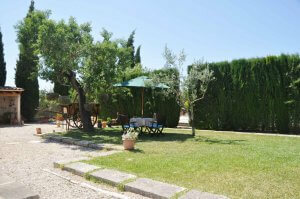 The outdoor area also has garden furniture and sunbeds, barbecue and wood stove and a covered porch for a car. 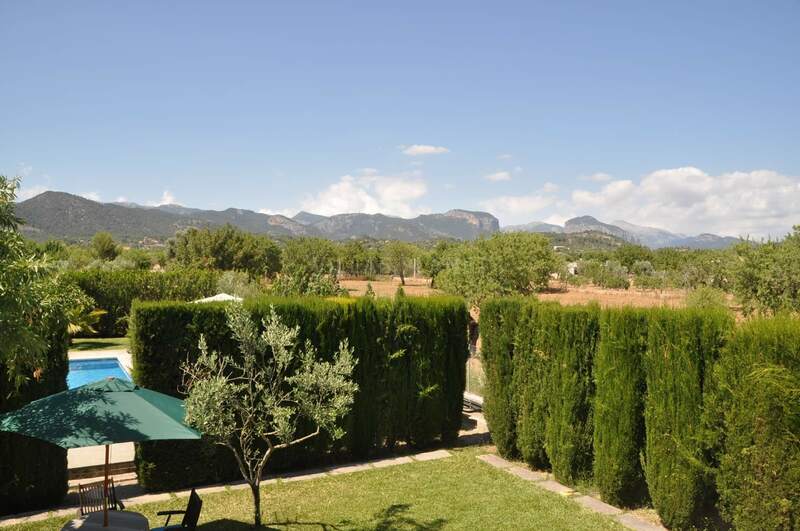 On the motorway towards Palma just 10-15 minutes drive you have the beaches of Palma Bay also 30 minutes' drive to the north coast are the Bay of Alcudia and Pollensa Bay to be within 30 kilometres of coastline and 19 kilometers of beautiful sandy beaches and shallow waters. For golf players just 10 minutes this golfcourse: Puntiró Golf Park .